Meridian Terrace Serviced Apartments in Cardiff offer a wonderful choice of studio, one or two bedroom accommodation to corporate and leisure guests ever since April 2009. 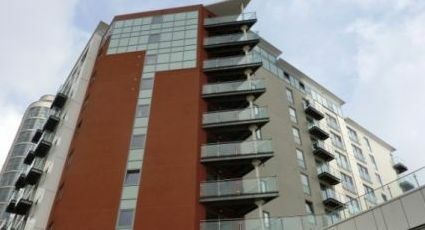 These modern and contemporary apartments located in central Cardiff are furnished to the highest quality. All the apartments have fully equipped kitchens with all the appliances, opulent fittings, flat screen TVs, stylish showers and bathrooms, and a free Wi Fi access. There is also the facility of weekly linen change, secure entry system, daily reception with attendant and a welcome pack is also part of the service. Meridian Terrace Serviced Apartments enjoy an outstanding central location. Direct train links to Cardiff from London Paddington takes only 2hr 15mins. From the main station by foot, turn right onto St Marys Street, cross over St Mary's Street onto Custom House Street, continue straight onto Bute Terrace. The apartments are located on your right hand side, attached to the Radisson Blu Hotel and directly opposite John Lewis. Leave the M4 at junction 29, exit onto A48(M) towards Cardiff E+S. Continue along the A48 towards Cardiff City Centre. Once on Bute Terrace, pass under a railway bridge (Pellet Street and Adam Street NCP on your left). Follow signs to John Lewis, we are located on the left hand side, attached to the Radisson Blu Hotel and directly opposite John Lewis.